Navigate the Festival on your smartphone or desktop! 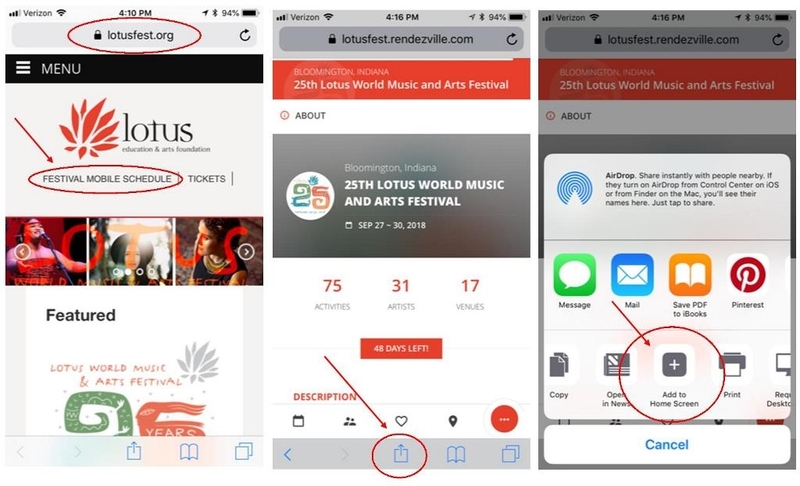 Go paperless and enjoy easy Festival navigation with the official Lotus Mobile Schedule on your mobile device, smartphone, or home computer! Stay up-to-the-minute with artist schedules and bios, venue information, maps, and more. If there’s new information or schedule changes, it will automatically update the next time you open the page. You can even “pin” it to your homescreen and then use it just like any app. It’s optimized for mobile, but you can also browse this interactive schedule on your desktop or tablet — it works just like any website. Give it a try! 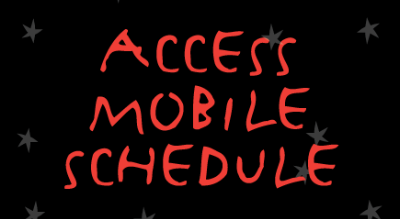 Mobile schedule sponsored by Rendezville. Need faster on-the-go access? Pin the landing page to your phone’s home screen for easy access! If you need instructions on how to pin something to your home screen, just scroll down for instructions for various devices. If you have last year’s icon on your home screen, it is best to delete and start fresh. Please note that the Mobile Schedule contains a LOT of content and may take a bit longer to load when you first open it, depending on your connection speed. Subsequent updates will be much faster. How do I pin something to my home screen? An additional resource can be found here. You can also simply bookmark the page on your device or desktop, if that’s your preference. Happy Lotusing!